Our Compliance Monitoring Program handles the non-technical, administrative tasks, to increase your bottom-line. Our Compliance Monitoring Program (CMP) electronically schedules all of your sampling events months or even years in advance. 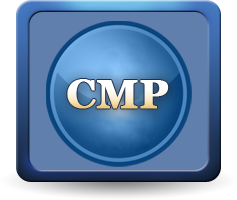 By knowing when and what needs to be sampled and tested, our CMP software has all the information it needs to completely automate your compliance monitoring system. Once the sampling events are scheduled, electronic bottle orders, bottle labels and chain of custodies are automatically created on the month and day needed. The sampling kits and instructions are sent to your doorstep the day you need them, without you ever having to contact the laboratory. As soon as an out of compliance condition is detected by the laboratory, our electornic system immediately sends the project manager an MCL notification warning of a potential out-of- compliance situation. The early warning notification is issued immediately, allowing the project manager to notify the PWS customer so their system can be corrected, if necessary. Once the system is corrected a re-sampling will be automatically rescheduled, well within the due date of the monthly or quarterly report. Never be out of compliance again! Once the testing data is complete and verified all data is electronically transferred to your final report and state forms. This automation prevents any chance of manual data entry errors, protecting your system from any compliance issues.